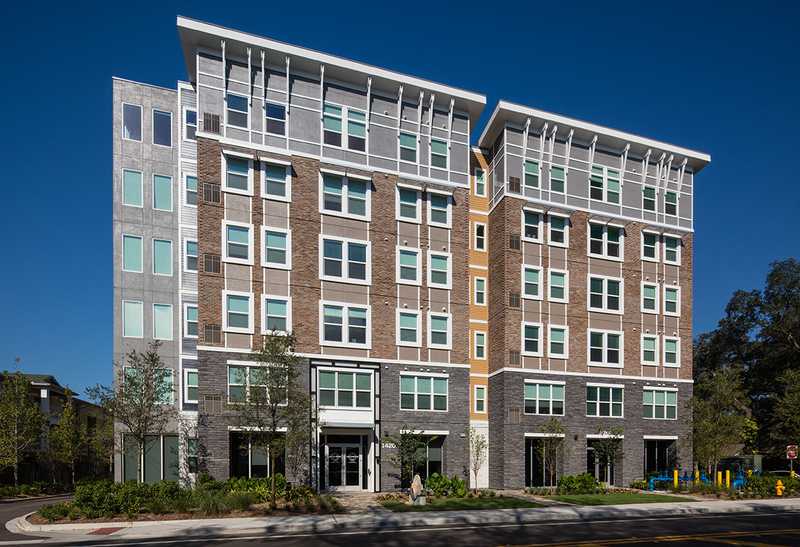 Creative and thoughtful planning was the key to the success of Uncommon student housing near the University of South Florida–the driving design factor being how to maximize a constrained, long and narrow site for both housing units and structured parking. Our desire was to create a hotel-like approach, with deep, hidden courtyards and abundant natural light for the interior spaces. 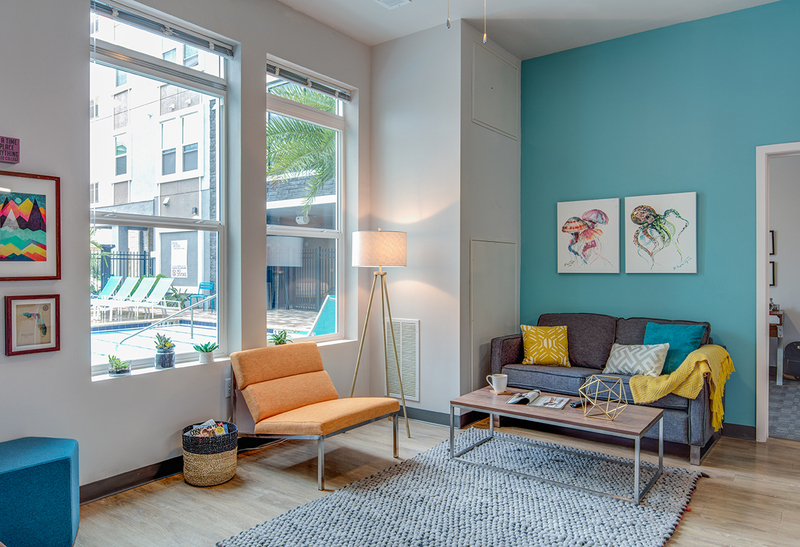 The building footprint is wrapped around a series of connected courtyards and covered areas whose purpose was to provide outdoor amenities such as a pool, outdoor lounging, dining and recreation areas, as well as general gathering spaces. First level units needed to have a close relationship with the street to reinforce the neighborhood feel of the project, with landscape buffers providing a transition from sidewalks to property. Every square inch of the site was thoughtfully utilized, including how to provide driveway access on two sides of the parking structure. 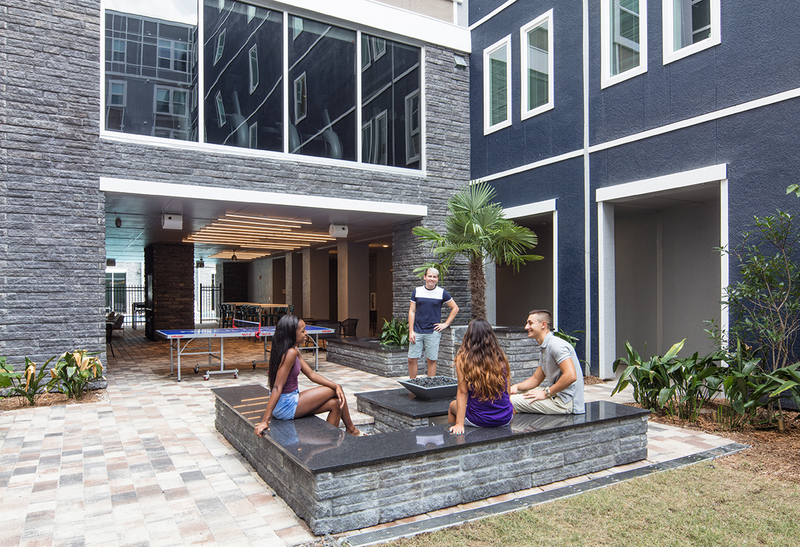 With each unit providing views of either the streetscape or the interior courtyards, Uncommon student housing is a testament to creative planning for not only the site, but also for creating living spaces where students can effectively live, work and play.